Find out more about the work of drug charity Focus12. "Davina has been a Patron of Focus12 since it first became a charity in 1997. She is a hugely active TV presenter. Davina, who is in recovery herself, brings a huge amount of energy and enthusiasm to all aspects of Focus12. She has provided an enormous impetus to fund-raising events. She manages to engender a spirit in those around her that makes them want to support Focus12. She also acts as a positive role model to past and present clients, injecting a feeling of hope and joy that helps people foster their own commitment to recovery. 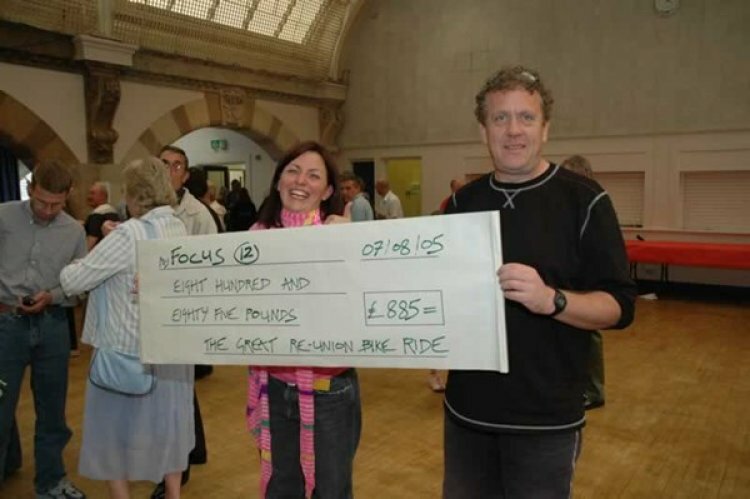 Davina's donations over the years have been absolutely fundamental in ensuring that Focus12 was able to survive its difficult early years as it was trying to establish itself within the treatment field. It is no exaggeration to say that without her help Focus12 would not be here today. She regularly attends the Focus12 annual Reunion and has organised and attended many fund raising events over the years." Find out more about Focus 12's work on their official website. "Our primary aim is to get people off drink and drugs completely so that they are able to remain abstinent and enjoy a much improved quality of life. We do this through a process of assessment, detoxification, treatment and extensive aftercare. We help people who have problems with opiates, alcohol, benzodiazepines and any of the other substances that can lead to physical and psychological dependence. We are happy to work with people with dual diagnosis who may be taking medication as long as they are able to engage with group therapy. We are a community based residential programme which means that the bulk of the daily therapy and support is carried out in the main treatment facility building. The living and sleeping units are nearby but separate. Clients who are taking advantage of the residential aspect of Focus12 do so in four accommodation units all within walking distance of the main therapy centre. We do not provide a remote residential setting free from any outside pressures or triggers such as pubs, people and problems. At Focus12 we provide rehabilitation within the community. Treated in a safe environment, yet surrounded by the normal, everyday activities of life, clients are able to better get an understanding of how they will cope in the ‘real’ world. We believe that this way clients are able to understand the nature of the triggers and problems that could potentially make them relapse. They are thus able to complete treatment in a stronger position than had they been excluded from all outside life whilst in treatment. Clients, whether on a day-basis or on a residential basis are safe at all times and are in contact with staff 24 hours a day. A member of the team visits all the premises throughout the evening until 11pm at night."